LANSING, Mich. (AP) — Senate Republicans on Tuesday signaled their intent to make lowering high auto insurance premiums a top priority in the two-year session, proposing legislation that would make it optional for Michigan drivers to buy what is now mandatory unlimited medical coverage. DETROIT (AP) — Detroit Mayor Mike Duggan and residents have filed a federal lawsuit over Michigan's no-fault auto insurance law. The lawsuit was filed Thursday against Patrick McPharlin, the director of Michigan's Department of Insurance and Financial Services, which oversees the state's no-fault insurance system, The Detroit News reported . GRAND RAPIDS, Mich. (AP) — The three Democrats running for Michigan governor met for their first televised debate Wednesday night, with two decrying corporate financial influence on state politics while a third — who accepts such campaign donations — refused to be pulled into the criticism while casting herself as an experienced, bipartisan problem-solver. CARSON CITY, Nev. (AP) — Nevada state officials are reminding as many as 600,000 vehicle owners they could face auto insurance rate increases July 1, when minimum liability coverage requirements go up. Officials announced earlier that almost one in three of Nevada's 2 million licensed motorists could be paying $10 more a month. The minimum is going up to $25,000 for bodily injury coverage per person and $50,000 per accident, plus $20,000 for property damage. About 43,000 Pennsylvanians will lose auto insurance plans at midnight Thursday. Texas-based company Access Insurance was ruled insolvent last month, The Morning Call in Allentown reported. The company insures 42,785 of Pennsylvania's 9.2 million drivers, according to the report. PROVIDENCE, R.I. (AP) — A new auto insurance company in Rhode Island is rewarding drivers with cheaper rates based off how they drive. The catch is that policyholders have to allow HiRoad Assurance Company to track them in a cellphone app. Pending the governor's signature, Georgia will soon become the 16th state in the U.S. to enact a hands-free driving law. The House gave final passage Thursday night to a proposal that would prevent drivers from holding their cellphones while behind the wheel. LANSING, Mich. (AP) — Michigan drivers with auto insurance will pay more money than ever — $192 annually per vehicle — to cover unlimited medical benefits for severely injured motorists. LAS VEGAS (AP) — About one in three Nevada motorists, or as many as 600,000 people, could face a 9 percent jump in auto insurance rates this summer when the state raises the basic required minimum levels of bodily injury and property damage coverage, officials said. Some lawmakers want to give up on fixing Michigan's no-fault insurance law and instead scrap it and return to a tort system in which motorists sue each other to recover damages. The frustration by these Republican legislators is understandable. They spent nearly all of 2017 trying to forge an agreement on no-fault reform, and walked away empty handed. It might be time for Louisiana residents to park their cars or trucks in the driveway for an extended period of time. A year after approving double-digit rate hikes for at least five insurers, the Louisiana Department of Insurance decided this past week to approve rate increases of at least eight percent or higher for 10 agencies. Louisiana now has the second-highest auto insurance premiums in the country, only behind Michigan. ATLANTA (AP) — With Georgia having experienced a spike in both fatal crashes and auto insurance premiums, legislators advanced a proposal to make it illegal to hold a cellphone while driving. By a non-unanimous voice vote, a House committee on Wednesday voted in favor of a bill by Rep. John Carson, R-Marietta, to crack down on distracted driving. It now awaits House debate. BIRMINGHAM, Ala. (AP) — Birmingham-based Infinity Property and Casualty were bought for $1.4 billion. Kemper Corp. acquired the auto insurance provider in a cash and stock transaction, making it one of the largest nonstandard auto insurers in the country, Al.com reported . The merger will create a combined company with $2.2 billion in nonstandard auto insurance premiums. Using a classroom setting, we instruct senior adults in defensive driving. This enables senior adults to improve their driving skills and obtain the state-mandated savings of 10 percent on their auto insurance premium. (BPT) - Have you noticed that traffic seems to be worse lately? There’s a good reason for that — there are more vehicles on the road than at any time in recent history. Unemployment is low and gas is affordable, which means more people are driving more miles. And more drivers means an increased risk of getting into a collision, which impacts the number of auto insurance claims and, potentially, the cost of insurance premiums. "Outta' My Mind on a Monday Moanin'"
Tesla running into a reality check? Can't deliver the Model 3 in numbers they had predicted? Increased losses of $619 million for the third quarter? If things go the way they have been for the company on Wall Street, such bad news should help the stock skyrocket. Lansing — The effort to change Michigan's generous and expensive no-fault auto insurance law is on life support after the state House rejected a proposal by Speaker Tom Leonard and Detroit Mayor Mike Duggan in a late Thursday vote. The Michigan House late Thursday voted 45-63 against a bill to reduce the cost of auto insurance premiums by giving drivers a choice on levels of personal injury protection. LANSING, Mich. (AP) — A bill to reduce auto insurance premiums was defeated late Thursday by the Michigan House, another blow for longstanding efforts to rein in medical costs contributing to the highest average rates in the country. After hours of behind-the-scenes arm twisting and an extensive floor debate, the GOP-controlled House voted 45-63 against the legislation — 10 votes short. Forty-one of 45 Democrats and 22 of 63 Republicans joined to reject the measure. It's the hard sell at the car rental counter that everyone knows is coming but few know how to handle: rental car coverage. You might recall that your credit card provides some type of free protection for rental cars. That's probably true, and it can be valuable. But you have to know what coverage you have and when it applies to your rental. Mayor Mike Duggan has long built a reputation as a political bulldog — going back to his days in Wayne County government — who will stop at nothing until he accomplishes his goal. That may explain why the mayor remains insistent on reforming the state's no-fault auto insurance laws to help reduce rates for drivers in Detroit, even as critics of his three-tier proposal blast it as flawed. Lansing — Michigan auto insurers could offer reduced-coverage plans but would have to lower rates for all policy types under a modified reform proposal that a state House panel approved Thursday. The Republican-led Insurance Committee advanced the proposal in a 9-5 vote, a small but significant step for legislation still facing steep hurdles at the state Capitol. LANSING, Mich. (AP) — A bill advancing in Michigan's Legislature would require lower auto insurance premiums for all drivers while making it optional to buy unlimited medical benefits. The Republican-controlled House Insurance Committee approved the legislation 9-5 Thursday. It moves to the House floor, where many lawmakers have concerns with the measure. (BPT) - Most drivers “know” for certain just two things about car insurance: they’re required by law to have it, and it’s expensive. Beyond that, there’s a lot of confusion and a lot of misconceptions, according to a recent survey by The Zebra, an online auto insurance search engine that recently introduced the Insurability Score (like a credit score for insurance) to help drivers understand what factors impact their car insurance rates. In a letter to the editor (Oct. 6), the Michigan Chamber of Commerce's Wendy Block places blame everywhere but on the insurers themselves for Michigan's overly high auto insurance costs. While lawmakers should absolutely look for ways to stop fraud and contain medical costs, they also must call into question the role insurers themselves play in making premiums unaffordable to many, and painful for all, Michiganians. LANSING, Mich. (AP) — Legislation to reduce Michigan's high auto insurance premiums by letting drivers opt out of mandatory unlimited medical coverage is in peril, with majority Republicans lacking enough support to pass it on their own and many Democrats pushing an alternative plan. House Speaker Tom Leonard openly says he needs 10 to 15 of the chamber's 45 Democrats to help move the bill to the Senate. That means 19 to 24 of the 63 House Republicans are opposed. The sun may be out and the skies crystal blue, but the cruel reality is that some survivors of tropical storm Harvey found themselves underwater twice: the first blow was Harvey dumping a record-shattering 40 to 52 inches of rain on the region, flooding as many as 500,000 vehicles, according to some estimates. The second punch: discovering that their auto insurance payout still left them on the hook for hundreds or thousands of dollars. 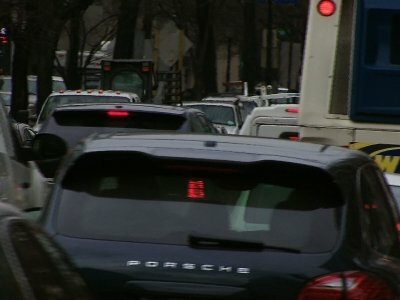 LANSING, Mich. (AP) — A group defending Michigan's auto insurance system says it has uncovered instances of insurers illegally selling more expensive policies to women and widowed drivers, raising questions about state oversight of rating practices as the industry pushes lawmakers to contain high premiums. LANSING, Mich. (AP) — Any proposal to automatically cut premiums for Michigan drivers would be "dead" on arrival in the Republican-led Senate, Majority Leader Arlan Meekhof said Wednesday, bringing into question lawmakers' long-sought aim to enact major auto insurance changes. RALEIGH, N.C. (AP) — North Carolina's insurance regulator says he's reached a deal with auto insurers for a premium increase of just over 2 percent instead of the nearly 14 percent average increase companies sought in February. The state Insurance Department said Thursday the new rates will become effective with policies signed after October 1 and will stay in effect for two years. South Carolina drivers are getting in more wrecks, the damage is getting more expensive to repair, and the state's auto insurers are starting to pass along the bill. In short, that's the confluence of factors causing insurance premiums in the Palmetto State to spike after creeping up gradually throughout the economic recovery. Your age, your vehicle, even your credit score all affect what you pay for car insurance, but a new study reveals something else at play. Otis Nash is one example. He spent his entire life in a mostly minority neighborhood in the Chicago area. Nash is rated a good driver and pays almost $200 dollars a month for his Geico auto insurance policy. TALLAHASSEE, Fla. (AP) — Florida may change the kinds of auto insurance drivers must purchase. The Florida House on Wednesday voted 89-29 to repeal a requirement that motorists carry a type of auto insurance known as personal injury protection. Under Florida's no-fault insurance law drivers must pay for a policy that provides $10,000 worth of medical coverage regardless of who is at fault. Texas drivers living in minority areas are generally charged more for auto insurance than people with similar risk profiles who live in white neighborhoods — despite laws that ban discriminatory rate setting, a new study of car insurance pricing shows. CHARLOTTE, N.C. (AP) — When dozens of taxi and limo drivers claimed the same home address, it led to a big insurance bust. North Carolina Insurance Commissioner Mike Causey says 70 Charlotte-area taxi and limousine drivers falsely listed the same address in suburban Union County to get a break on auto insurance. LIVONIA, Mich. (AP) — The annual auto insurance fee Michigan drivers pay toward caring for people catastrophically injured in crashes is rising to $170, a $10 increase. The Michigan Catastrophic Claims Association announced Monday the new per-car assessment for the 12 months starting July 1. It increased by the same amount last year. PHOENIX (AP) — The Arizona Senate approved a bill Thursday to raise the minimum amount of liability coverage drivers are required to carry on auto insurance policies, a proposal backers say is needed to protect accident victims from loss. The bill by Sen. Kate Brophy McGee, R-Phoenix, is meant to shift the cost and responsibility back to those who cause accidents. Many people who have been buying car insurance for years probably think they have a good idea of the key factors that make premiums rise or fall. I counted myself in that group, until I read some of the fine print in my latest bill, and did some research. Accident claims, of course, affect auto insurance rates, as do driving records and having teen drivers in the household. But credit reporting and other consumer data? AUGUSTA, Maine (AP) — Homeowner and personal auto insurance rates in Maine continue to rank among the lowest in the nation. State Insurance Superintendent Eric Cioppa says that recent national reports show Maine has the third lowest average auto insurance premium for the fourth year in a row. Maine also ranks 10th for lowest average homeowners premiums nationally for the third year in a row. WASHINGTON (AP) — Most drivers don't expect to be hit with a rate hike on their auto insurance after a car accident that wasn't their fault. But a consumer group says it happens, and it's a problem. The Washington-based Consumer Federation of America says it found rate hikes on annual premiums as high as $400, in some cases. RALEIGH, N.C. (AP) — Insurance companies are seeking approval for their plans to raise auto insurance costs for North Carolina motorists by an average of nearly 14 percent this year. The state Insurance Department said Friday it received the request from the North Carolina Rate Bureau, which represents insurance companies. The state Insurance Department regulates rate increases. You wouldn't own a home without homeowner's insurance. You wouldn't drive a car without auto insurance. But many never consider renter's insurance when renting an apartment. At the Houston Apartment Association, the question often arises: Do I really need renter's insurance? If something happens, doesn't the landlord have to pay for my stuff?